"When you hear of seven demons think of the opposing spirits of the seven virtues. Namely, the spirit of the fearlessness of God, the spirit of imprudence, the spirit of ignorance, the spirit of falsehood, the spirit of vanity, the spirit of elation, the spirit of beauty. All these are contrary to the opposing virtues. For every sin has its demon, or rather the spirit gives its energy." "Let no one think that Mary had seven demons. But it is just as the gifts of the Holy Spirit are synonymously called seven spirits, as the great Isaiah numbered them: 'The spirit of wisdom and prudence, the spirit of counsel, the spirit of might and knowledge and reverence and fear of God' (Is. 11:2-3). Thus the energies of the demons are also called demons. Despondency, thriftiness, contempt, envy, falsehood, greed and every passion is synonymous with the demon that begat it. Whoever is dominated by these passions, is possessed by demons. Therefore it was not at all unlikely and impossible for Mary Magdalene to be possessed by seven passions, from which she was redeemed and became a disciple of the Savior." "As there are seven spirits of virtue thus there are against them seven spirits of evil. As there is a spirit of fear of God, thus there is against it a spirit of a lack of fear of God. There is a spirit of understanding, there is against it a spirit of a lack of understanding, and the same with the rest of them. Unless, therefore these seven spirits of evil leave from the soul, it's not possible for one to follow Christ. 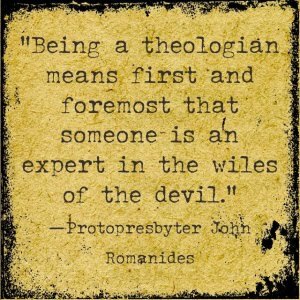 For first Satan must be removed from him, and then Christ will inhabit him." Therefore, the benevolent and merciful Lord healed Mary through His grace and freed her from seven demons, which are synonymous with seven passions that are energies of evil spirits. Thankful for this great benefaction, she left everything and became a follower of her Savior and Teacher, together with the Twelve. She abandoned all inclination towards wickedness and became adorned with every virtue and goodness. "The symbolic number seven we see used in the Holy Scriptures indicating virtue and indicating evil. Arguably, therefore, it is said the Savior chose Mary Magdalene, from whom He cast out seven demons, to drive out the prince of evil from human nature. For the stories teach that this Magdalene was a virgin throughout her life. And it is mentioned in the martyrdom of Mary Magdalene, as is written, that on account of her utter virginity and purity, she appeared to her torturers, as a pure crystal." 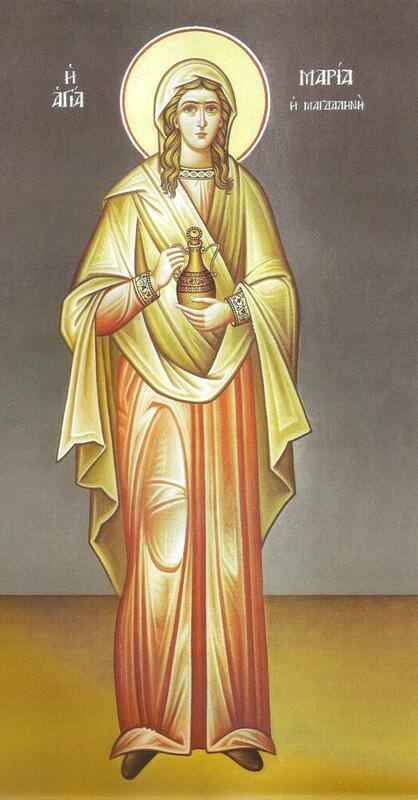 Mary Magdalene is therefore looked upon by the Orthodox Church as not a sinful woman, but as one who was sick by the demonic onslaughts that battled against her. And when she encountered the long-awaited Messiah, whom she recognized by her studies of the Old Testament, and the signs and miracles which followed, she was healed by Him. This inspired her to follow Christ faithfully to the end, serving not only the Lord and His disciples, but even having a close relationship with the Theotokos herself. 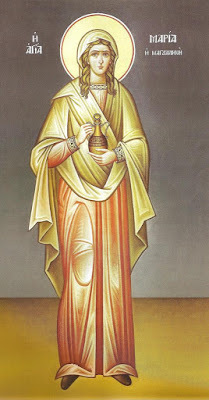 And till the end, when she reposed in peace in the city of Ephesus, and was buried by the Holy Evangelist and Apostle John the Theologian next to the cave where later the Seven Youths of Ephesus were buried, she had kept her purity intact, becoming for all generations of Christians a model of purity.